Getting things done easily at work or elsewhere. It can be a chore. 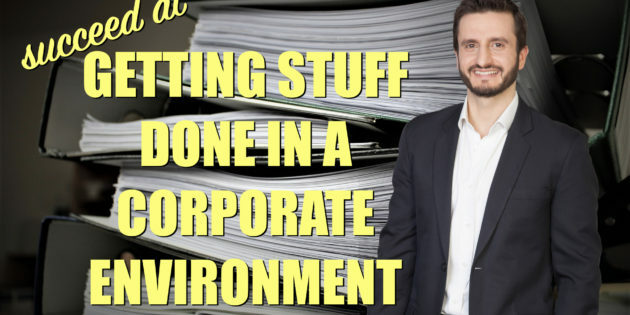 I remember when I used to work in the corporate world that getting things done, getting permission, especially if they were to change long held processes or ways of doing things was a definite challenge. Even if it would benefit the organisation. For example, I remember wanting to change a certain process and associated report. I spent a long time trying to find out who actually requested the report, what benefit it gave them and whether I could just streamline the whole process. I got nowhere. Lots of people later and no-one could assume ownership of the report, or even remember why we produced it in the first place. “We’ve always had it.” That was often the answer. “I don’t know.” That was often the answer. In the end, this philosophy – the one I’m about to reveal – has served me well, when wanted to get things done, or do something. And before I reveal it, there has to be a decorum of common sense applied when using it, naturally. But it’s usually valid. It’s usually easier to ask for forgiveness, than it is permission. That’s to say, sometimes getting permission can take a long time, run round in circles or no-one is willing to step up and take responsibility for a decision. You might get push back too. However, once it’s done, it’s either going to stick (or often even go un-noticed or un-challenged), or if it does go wrong and someone objects, asking for forgiveness can be effective. It will save you time and effort, make the improvements you wish, and chances are, no-one will be bothered anyway. There are limits of course. You don’t want to go breaking into someone’s house because asking permission was too hard, and you will try your luck at forgiveness instead! Or not paying on the train. Obviously. As long as you’re not breaking any laws, or things that will get you fired, demoted etc, then I think you can judge it for yourself.